The thought of having to obtain skip permits can be time wasted and expensive, when it comes to having rubbish removed. It does not have to be that way, however. 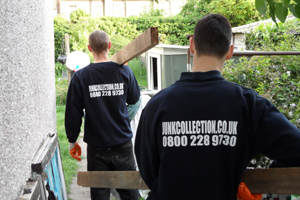 With Junk Collection, you won’t have to bother with annoying tasks such as obtaining a skip permit. And there will never be a need to do all of the work yourself. One of our professional teams will arrive as scheduled, load the vehicles and haul the junk away. So save yourself the hassle and cost of a skip permit and have the waste cleared by Junk Collection. Call us today and we will be happy to assist you .